Dubai Shopping festival and Global Village..
Today I thought of discussing about Dubai Shopping Festival (DSF) and the Global village. For anyone from UAE, they already know what this is all about. However, for my non – UAE readers, I will briefly talk about it. Dubai Shopping festival is a month long festival that takes place annually in Global Village, Dubai. During this month, products from various parts of this world are displayed and sold, in pavilions that are dedicated to different countries. The price of most of the products are competitive when compared to buying it from any other retailers. Any product that you imagine, may it be electronics, antique items, carpets or whatever, it’s here! So, shopaholics can get their hands on a plethora of items that are otherwise not available in UAE. I guess there are more than 65 countries represented each time during the DSF. 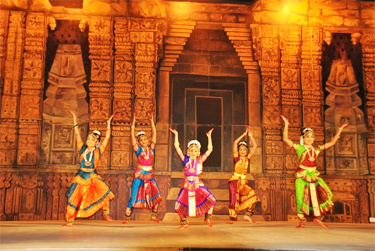 In addition to that, there are raffle prizes, lots of cultural dance performances, on – stage programmes which are aired live onto the TV etc. The Global Village is usually opened before the actual DSF starts. 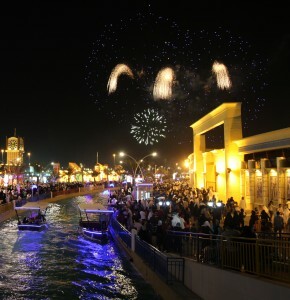 Like this year, it opened on Oct 21st, while the DSF is actually starting on Jan 5th through Feb 5th, 2013. The Global Village will remain open until Mar 31st, 2013. I recently went there with my husband and man, it’s already jam packed with people from all around the world!. I have heard that many come down to Dubai, from other countries, during the festival just for shopping!. Whoa, isn’t that amazing?. So basically you have an idea about DSF and Global Village now :). It’s truly a global tourism experience. India – That’s my country :)… It has lots of cultural programmes and also what I personally like is the different variety of Pashmina shawls/scarves available at really great prices. Philippines – It has some really nice handbags, hair clips, makeup items available there. Thailand – Ah love this place!. I have visited Thailand before. So I love to see those local products displayed here. I always get the Durian chips from here. Durian is a pungent smelling Thai fruit. It’s so pungent that, it is not allowed in a hotel room or in taxis in Thailand!. However, it’s chips are simply amazing. It doesn’t have that smell. I LOVE it. A packet of chips is sold at AED 15/- or you can buy them loose at prices like AED 35 or AED 50. That’s upto you. If you have never tried it out, please do. I also love the noodle soup stall they have there. It’s lovely. Yemen – You can walk around and taste different kinds of honey like Mountain honey, honey from specific flowers or honey with medicinal properties etc. I bought 1/2 kg of a particular honey for AED 75/-. Originally the sales person asked AED 100/- for it. If you are not good at bargaining, hone your skills before you head there!! KSA (Kingdom of Saudi Arabia) – You have got to get the dates from here. You can walk around and taste different kinds of dates. I bought a 1kg packet of the yummiest and juiciest dates for AED 25/-. It’s original price was AED 30/-. China – You get lovely tops, tights, inner wear, bags with Hello Kitty on it from there. Love this place! These are just 6 of my absolute favorites. I definitely do go into other pavilions ofcourse. However, these are the ones I always make a point to visit. Also, if you have been wanting to buy the Ben Nye Banana powder, I spotted it in the Kuwait pavilion (Read my detailed post about it by clicking here). A bottle of (I guess) 42 gms is sold for AED 78/-. It’s a product of USA. I didn’t buy it, but I know others might want to. Just passing on some info :). Also, there is a sneaky little tip I wanna give you. If you go to the Global village towards the closing date, you get products for WAY cheaper because all that these sales people want to do before they wind up and return to their countries, is get rid of the products. But that doesn’t mean you don’t go there at the beginning ok?. Hahaha! Towards the end, obviously the option of different products they have, would be lesser and it will be probably the last pieces that you get at a great price. Entry fee to the Global village is AED 10 per person. The entry ticket acts as a raffle coupon to win a Chevrolet Camaro. There are total of 12 to give away! Monday is ladies / family only. So that’s it guys!. I hope I have covered it all. 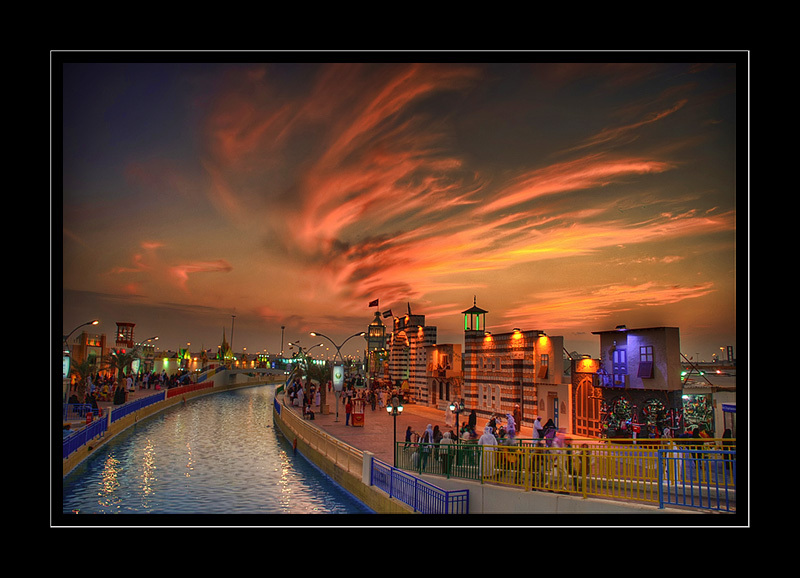 Let me know whether you have ever visited the Global village and whether you have any favorite pavilions?. What products do you love to purchase the most?. Write to me! Note: Don’t forget to check out my UAE only giveaway going on right now until Feb 7th by clicking here. Hey, thank you for your sweet comment. I will be outright honest with you. My husband is too good at bargaining while am not so good at it. Probably I will ask him for some tips. Hahaha.. you are so sweet! Yeah it indeed is. Have you visited Dubai ever? Can u telme d exact plz if possible??! As far as I remember, when entering the Main entrance of the Kuwait pavilion, walk to the left and then towards the end of the pavilion. There is a small cosmetics stall there among others. There were both a man and a woman at the counter. The product they have is made in USA. It’s AED 78 for a small bottle. If you do find it, lemme know ok?.. Hope that helps. Great post! I am new here in UAE. This post helped me get more insight into the Dubai Shopping Festival. I love the way you write. Thank you. Wanted to know if global village is.still open this march and found this blog with so much information. Thank you! This one’s very informative. So nice of you to share! I am so glad I could be of help! Global village is open for a long time (3 – 4 months). DSF is mostly only a month long, it’s held in Global Village and the festivities and number of programs are more during DSF. Hope it’s more clear now! All stage shows are awesome. visit as soon as possible, before extreme summer starts. only one disappointment is that the restaurant doesn’t serve good quality food. you will get junk inside a beautiful package. Thanks for your comment!. Well, I would never try adventurous rides like that. It’s scary. Yeah, sometimes perfumes aren’t really good. You really gotta know how to differentiate between good and bad! Great article, exactly what I needed! Nice post. I’m impressed! Very helpful information specifically the last part :). I care for such information much. I was looking for this certain information for a long time. Thank you and best of luck! Thanks!. That means so much to me.. Thank you!. So awesome to hear that! This is an extremely well written article. Thanks for the post. Does running a well-established blog like yours require a massive amount work?. I’m completely new to writing a blog however I do write in my journal everyday. I’d like to start a blog so I will be able to share my own experience and thoughts online. Please let me know if you have any kind of ideas or tips for new aspiring blog owners. Appreciate it! Hi Jeanett! Yes it does take a lot of work. I would say, why don’t you sign up for a free WordPress account and start documenting whatever you wish to write about?. It’s easy to sign up. Keep writing! Thank you so much, Celina! Please answer back as I’m looking to create my own blog and would like to find out where u got this from. Thank you. Aww thanks Derick!. This is a free theme from WordPress itself. I would suggest you to start on a free platform like WordPress at first. Having read this I thought it was extremely enlightening. I appreciate you taking the time and effort to put this informative article together. It was good to know about another country and it’s festival. I once again find myself personally spending way too much time both reading and leaving comments. But so what, it was still worth it! I appreciate your comment, Sonia!. Thanks! Hello!. Maybe you can visit the official site of DSF and get in touch with them. Good luck.